The all-new 2018 Volkswagen Atlas is the much-lauded midsize SUV that Car and Driver gave its Editor’s Choice award in only its first year of production. This time, the engineers at Volkswagen brought their commitment to efficiency and value to the American SUV. No vehicle in its class — not even the popular Mazda CX-9 — has as much room for storage and as much comfort in the 2nd and 3rd rows than the 2018 Volkswagen Atlas. Stop by for a test drive at our Seattle showroom and discover a big SUV with even bigger value than the 2018 Mazda CX-9. With a staggering 17 cupholders in the 2018 Volkswagen Atlas, it’s clear that VW knows what you need to move you, your family and all their stuff. Enjoy perhaps the first truly comfortable third-row seat in a mid size SUV, with enough legroom and pitch to allow a fully-grown adult to settle in comfortably. Fold all the seats down and you’ll get a massive 96.8 cubic feet to haul whatever needs hauling. You only get a maximum of 71.2 cubic feet of storage in the 2018 Mazda CX-9. The available hands-free and remote liftgate options allow you to open the rear door of your 2018 Volkswagen Atlas with a wave of your foot under the rear bumper (provided the key is in your pocket). You can’t do that with a 2018 Mazda CX-9. If you’re going to offer the most storage space and passenger comfort in its class, you’ve got to pack an engine that can haul all that around. 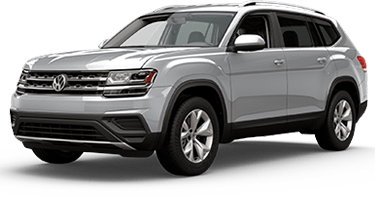 The Volkswagen Atlas offers two engine types to fit your needs, including a base 2.0l turbocharged engine which delivers 235 horsepower. That’s more power than the 2018 Mazda CX-9 offers on its base engine. Upgrade to the 276 horsepower V6, and get 26 more horsepower than even the most-powerful 2018 Mazda CX-9. The V6 also helps the 2018 Volkswagen Atlas reach a maximum towing capacity of 5,000 lbs — a full 1,500 pounds more than you can pull behind the CX-9. Consider these advantages along with the far more affordable price tag, and there’s no doubt that you’re getting better performance for your money in the all-new VW Atlas. Volkswagen’s legendary attention to detail shines in the 2018 VW Atlas, and the vehicle’s safety and security features are a prime example. Unlike the 2018 Mazda CX-9, you get seatbelt pretensioners in the back rows. 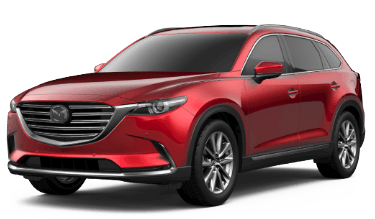 On all trim levels, the 2018 Mazda CX-9 offers pretensioners only in the front row. Standard on the 2018 Volkswagen Atlas is VW’s exclusive Intelligent Crash Response system, which disables the fuel pump, unlocks the doors and turns on the hazard lights when a crash occurs. And you’ll always feel safer knowing VW’s industry-leading warranty has your car covered longer, because Volkswagen stands by their vehicles like no other manufacturer.